Can you ever have too much cotton candy? I think not. I went with a simpler design using only three colors this time. This entry was posted in Ripple Afghans of 2015, Uncategorized and tagged charity project, crocheted blankets, ripple afghan. Bookmark the permalink. 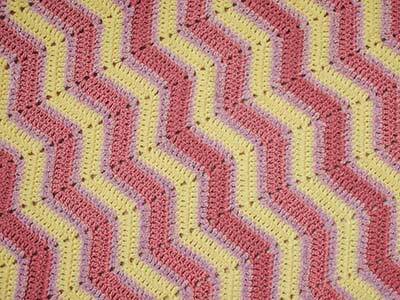 Very nice, I always liked pink and yellow together when I was making baby quilts for the newborns. Looks just as pretty in yarn. It’s been years since I last made a quilt. 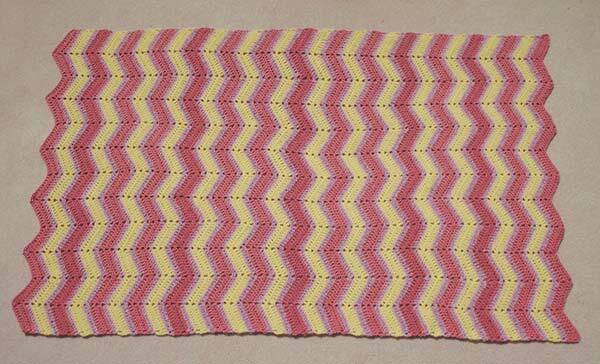 Maybe I’ll eventually get back to that; in the meantime I think I’d enjoy making a another pink and yellow ripple, with white. It’s lovely!! But I immediately thought LEMONADE!! Both regular and pink lemonade!! BUT – it’s still lovely!! 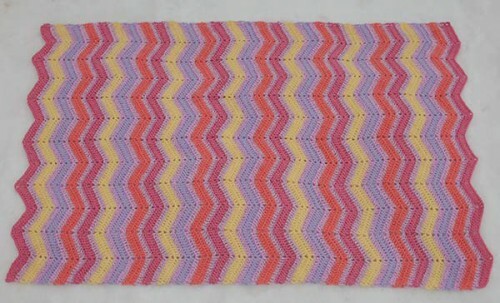 too bad this one has those pesky narrow stripes of light purple chenille.